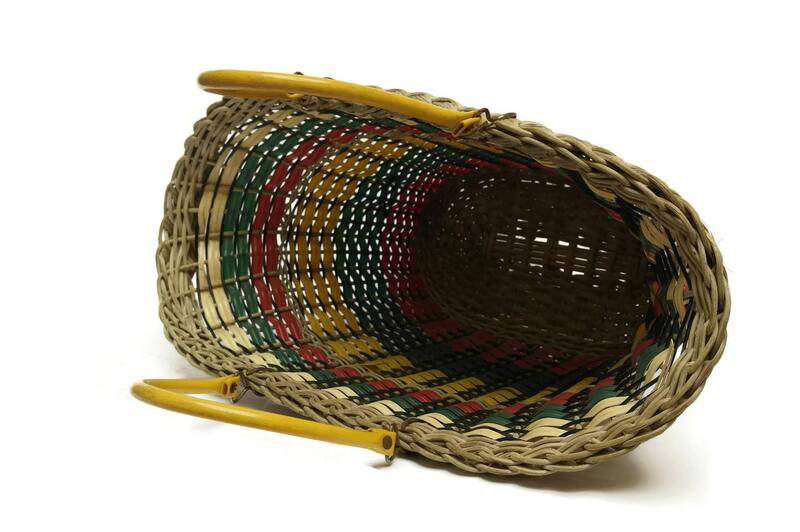 French Vintage Wicker and Plastic Coated Basket. 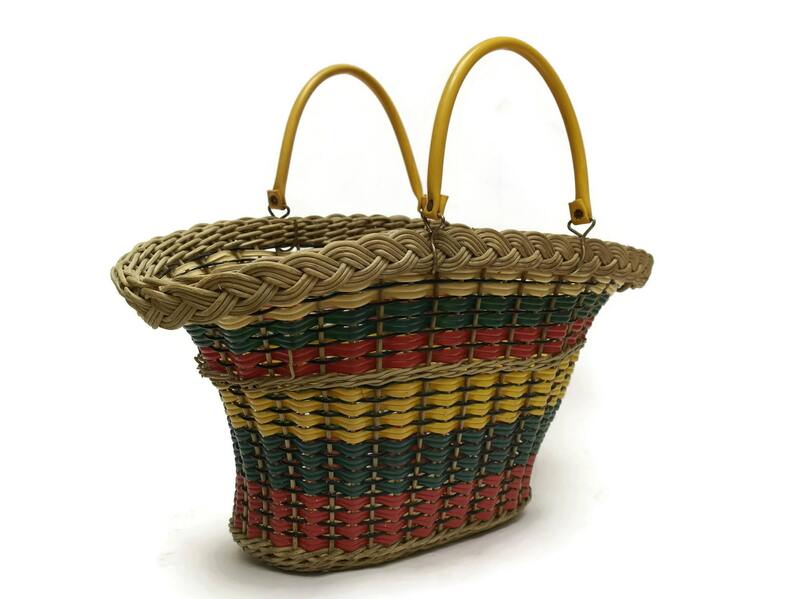 A stylish mid century French market basket dating to the 1960's. 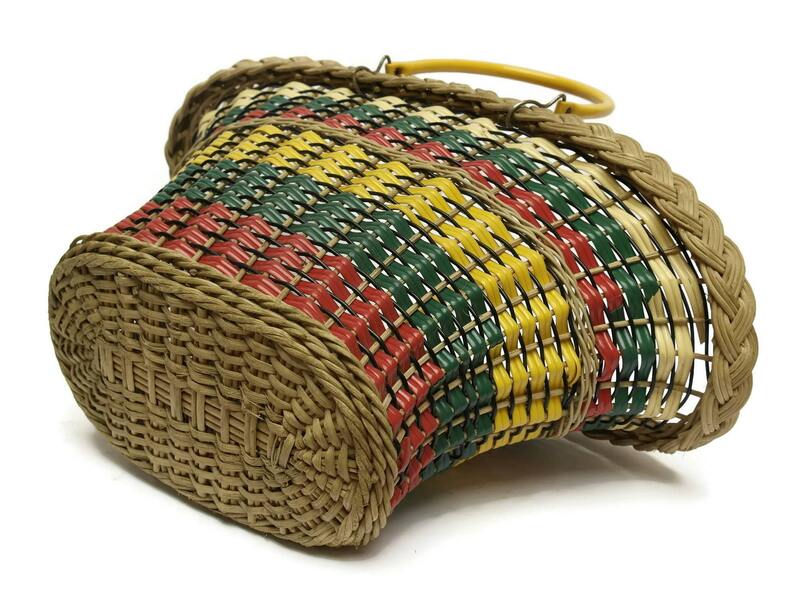 It features an elegant form and has been hand woven from wicker and plastic coated wire. 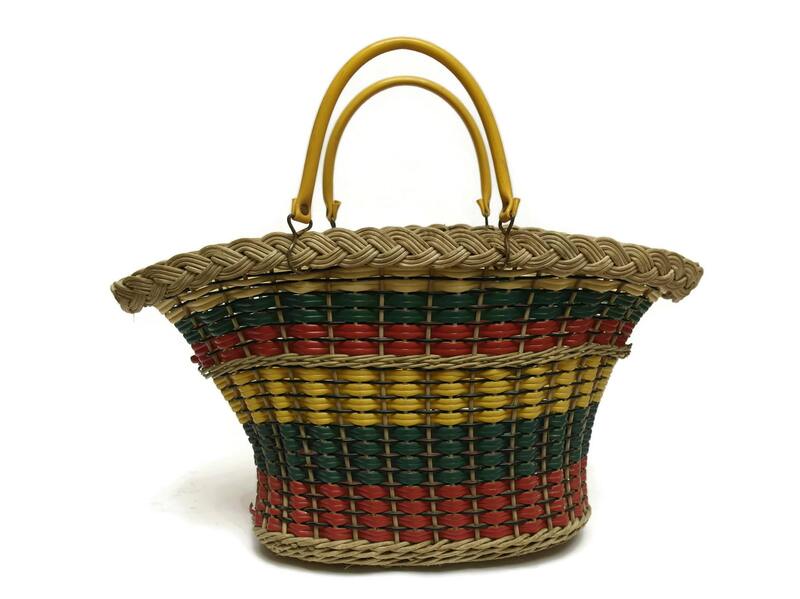 The basket has two loop handles ciovered in plastic. 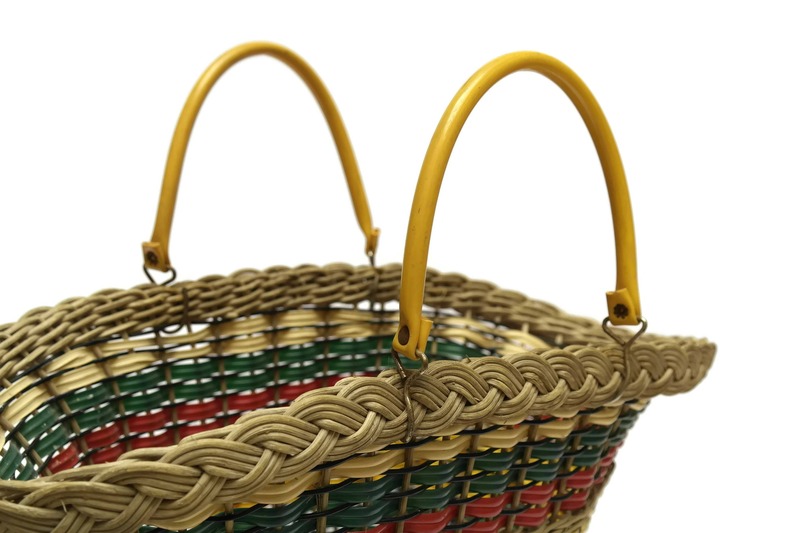 The market basket is in good vintage condition with light signs of age and wear.